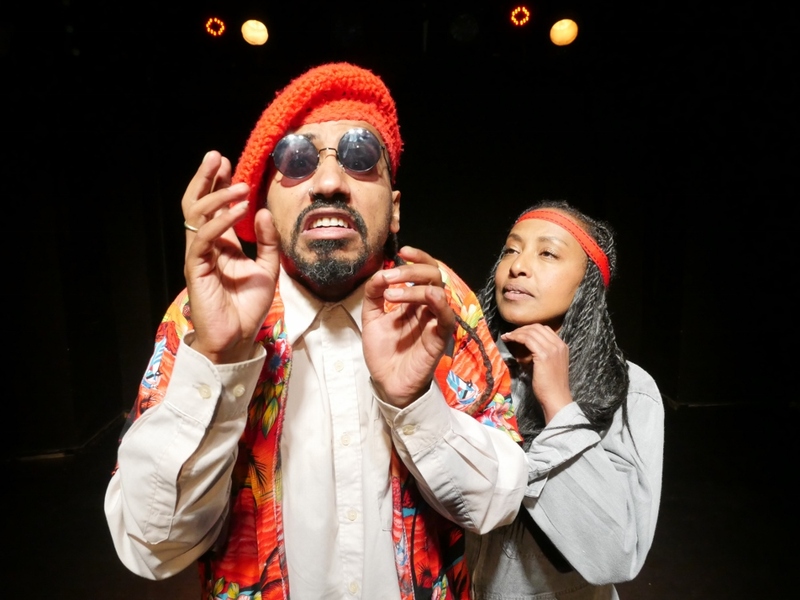 The Hullegeb Israeli-Ethiopian Theater ensemble, under the artistic direction of Moshe Malka, will hold a mini-festival in Tel Aviv, from June 12 – 14, 2018 at the Inbal Theatre. Three plays will be presented: Unpleasant Girl for a Serious Relationship, Love Story by Chulot, and Gi and Go: Premiere Performance. A performance of modern clowning, dance and physical theater, without words. 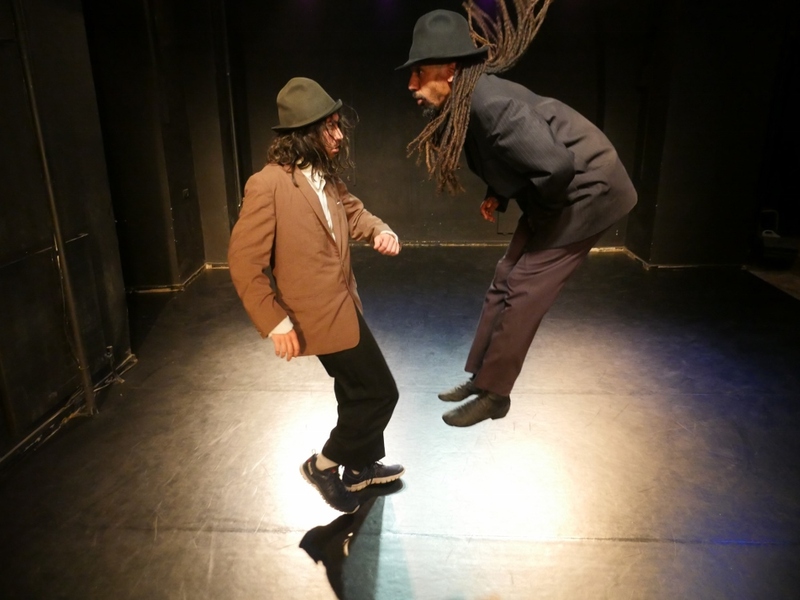 Two characters dressed in suits and top hats burst onto the stage and move as a single person at a fast pace. The characters embark on a wild journey from freedom and idleness to sisyphic effort in a factory. Both characters move and dance at a hysterical pace creating their own clowning idiom, slapstick and dance, with rock music and sound effects. Creation and staging: Moshe Malka; Participants: Tzvika Hizikias, Adam Shapira; Choreography: Tzvika Hizikias; Music: Adi Hayyat; Sets and Costumes: Gili Azran; Video: Ariel Cohen; Lighting Design: Nehorai Levidor; Stage Assistant: Nir Landa; Assistant to the Director: Hadas Kidron. A nonsense comedy created in the overheated mind of the young writer Chulot, about a tough female ex-convict who leaves jail to embark on a journey in the country’s farthest reaches to find her disappeared younger sister. There is a series of colorful characters on this night journey along Israel’s roads. The actors portray wild characters at a dizzying pace, to the accompaniment of rap music and video segments. 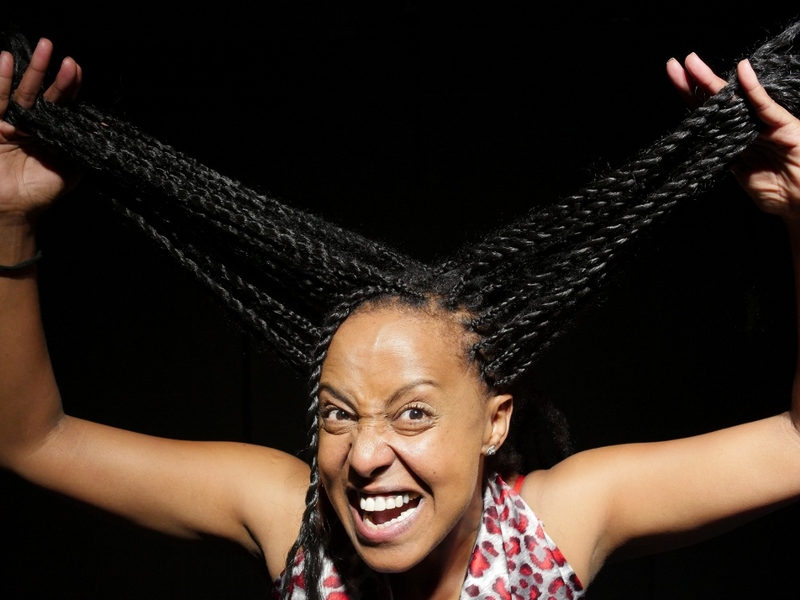 The Hullegeb Theater Ensemble under the artistic direction of Moshe Malka presents a comic one-woman play–attempting to begin a new phase in life, the protagonist makes fun of herself, the Israeli-Ethiopian community, and Israel. Ticket prices are 50 – 60 NIS, to order call: 02-6245206. *information about the shows is provided by the theatre.